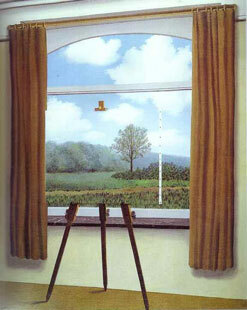 Seth Godin asks: Is a photo of a Magritte painting better than the original? At right, one of my favorite pieces of art, Magritte's The Silent Captive. Is this a painting of a painting? A picture of a painting of a painting? Or simply an idea, visualized? Seth wraps up with "When the idea is famous enough, what is the original, anyway?" Hehe... BTW I must tell you Seth is one of my favorite new bloggers. New to me, anyway. Subscribed! Am I the only one who sees The Silent Captive idea in this scenario? 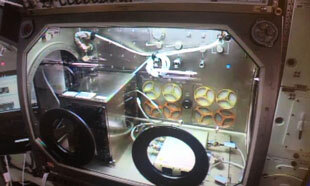 But of course: there is now a 3D printer in the International Space Station. I wonder if it can print itself? This is quite interesting on several levels: the Desk App, a desktop app for blogging. For OS X, and compatible with most blogging platforms. Of course I blog on Windows and have a home-grown kludgy system which isn't compatible with anything, but ... that could change. And in the meantime I'm fascinated by desktop apps!